A girls-only day trip to London this past Wednesday meant that my daughter and I could indulge in all the things we love and please only ourselves. After catching the train from Wakefield we arrived at Bucks Palace for our 11.15 time slot. A tour of the palace, including taking in the display of the painstakingly embroidered coronation robes, started our day off on a high note. Lunch in the park allowed us to rest briefly before hot footing it down to Regent Street. Here we ventured into Hamley’s;a first for us both where Freya decreed that it was indeed the best top shop in the whole world, especially after viewing the Harry Potter display and the Royals built in Lego. 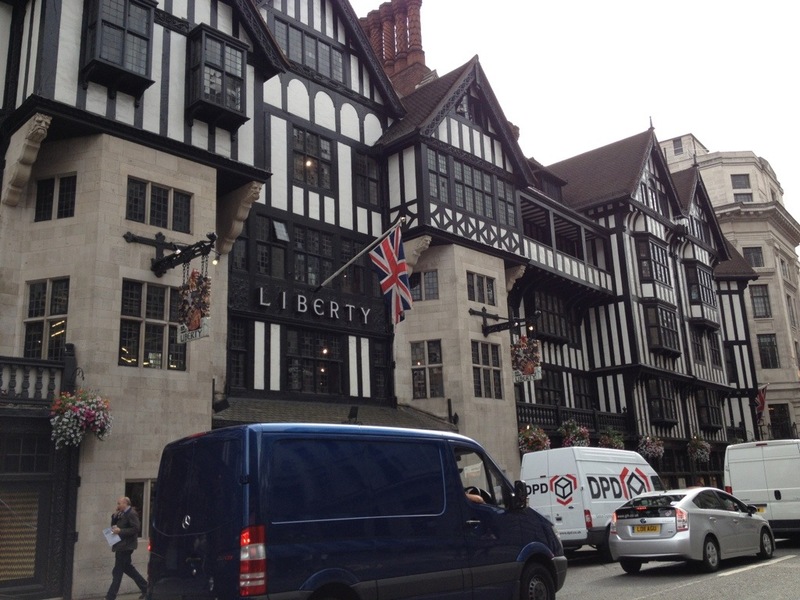 Next, after being dragged through Hollister, we arrived at the famous Liberty. Like a kid in a sweet shop I took in the fabric display. Half a metre of Tana Lawn was purchased, Petal and Bud A, something I had promised myself when the trip was planned. A street performance and dinner at Covent Garden completed our lovely day before a snooze on the trip back home. I waved my daughter goodbye today for a week in North Wales with my parents. I busied myself with taking a piece of my fabric and turning it into a long needed needle case. It will remind me of a lovely day. Lovely, lovely fabric. Sounds as if you had an amazing time in London. We did. Freya has even started a little collage on her bedroom wall of our day. sounds like fun! I am impressed that you left Liberty with only half a meter of one fabric! Ha, ha. My plan was to look and buy only half a meter of my favourite and then source future Tana Lawn purchases as cheaper seconds from Very Berry Fabrics on Folksy. They wrapped my half meter in tissue as though it was the crown jewels! isn’t quality customer service a dream? I like the plan to check out the patterns and then buy them cheaper elsewhere. I’ll have to check out Very Berry Fabrics… not that I need fabric…. Me too! I wasn’t quite as restrainedl as you and bought a bundle of strips to make a small quilt. Love what you did with your half yard though! 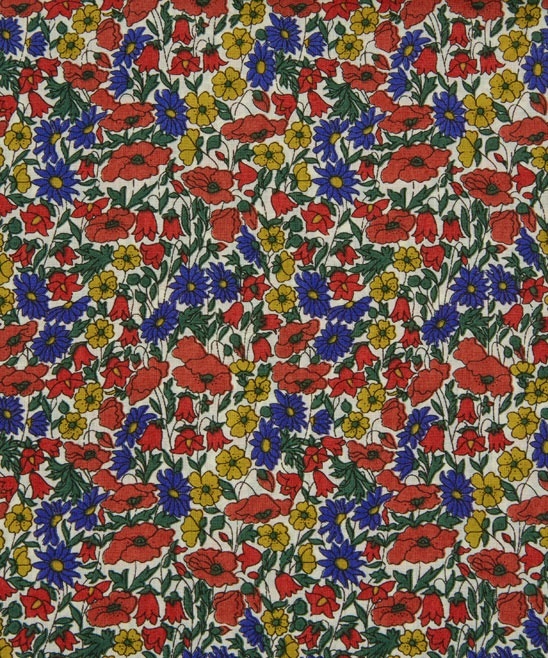 Try Very Berry Fabrics on Folksy for Tana Lawn seconds. Perfect for patchwork. This is my next stop. On the day I just wanted the pleasure of buying from Liberty and walking around with a little purple bag! It sounds like you had a lovely day with your daughter. How fun! The needle case is really cute. I like the embellishment on it! Thank you. We had a lovely day. It was my dream too! Such beautiful fabrics. I love that fabric and am quite envious! How lovely to have the memory of the trip too. It was hard to choose between fabrics with at least a hundred on display. I’ve many more makes in mind. Sounds like a really great day out. Your needlecase is really lovely. Have you seen the needlecase from scraps challenge, though your liberty material is too nice to be called a scrap. I’d love a day trip like that. It’s great you hav made a reminder of your day, it’s beautiful. Thankyou. Its not something we do all the time so was extra special. 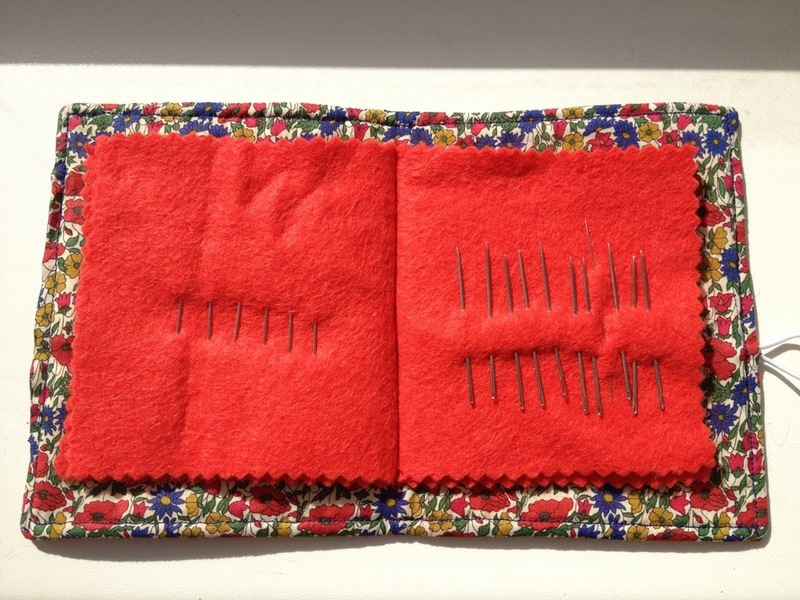 Really nice to read about your day, and liking the needle case! I want my duaghter to look back on some great memories, just like I have of my childhood. What a great day to share, I’d love to have a look around the palace one day. Such pretty fabric to make your needlecase from too. You definitely should go. It’s an amazing place. You are not rushed, not too many people and the staff seem to really love their jobs. Oooh! A needle case! I forgot that these were a thing. You just gave me a flashback to my nana teaching me to sew. I need to make one of these now, thanks! Having all my needles in one place is quite a novelty. They are usually pinned into a scrap of what ever I was working on last. Thank you for popping by. 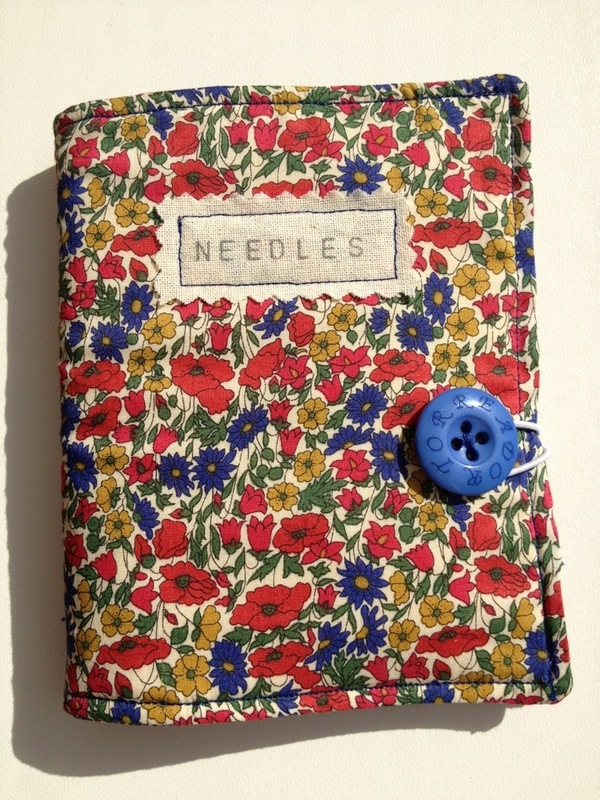 Sounds like a fab day, love the needle case! So lovely! Liberty’s is SUCH a difficult shop to walk past without going in and buying everything! It’s a good job I live in Yorkshire! So nice to have a girls day out, I love the Liberty’s store both inside and the building itself. Hello. Yes we had a lovely day. I’d not been to Liberty before with usually having a man in tow. Looking forward to many more visits with my daughter now she is a little older.